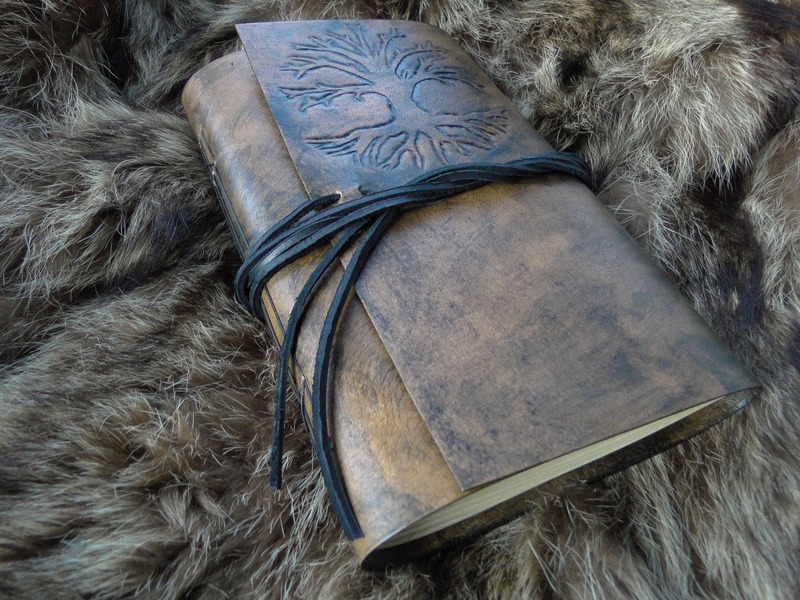 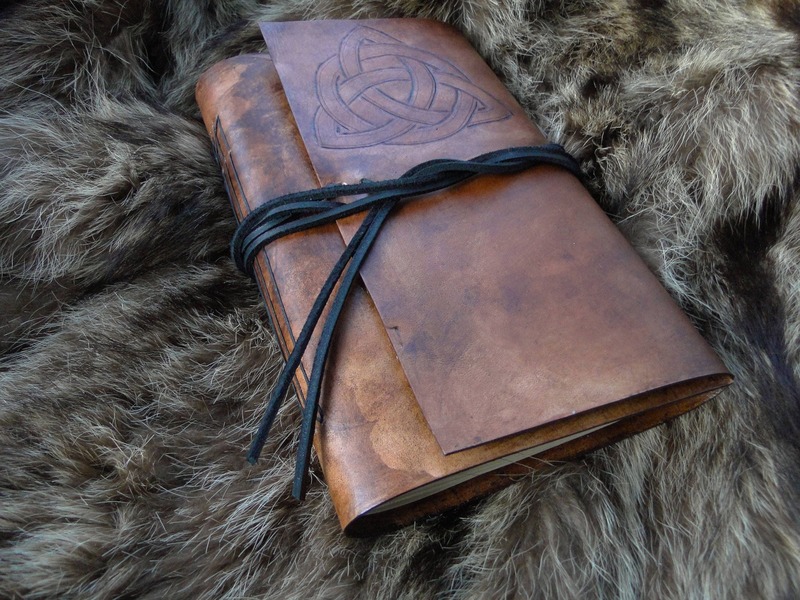 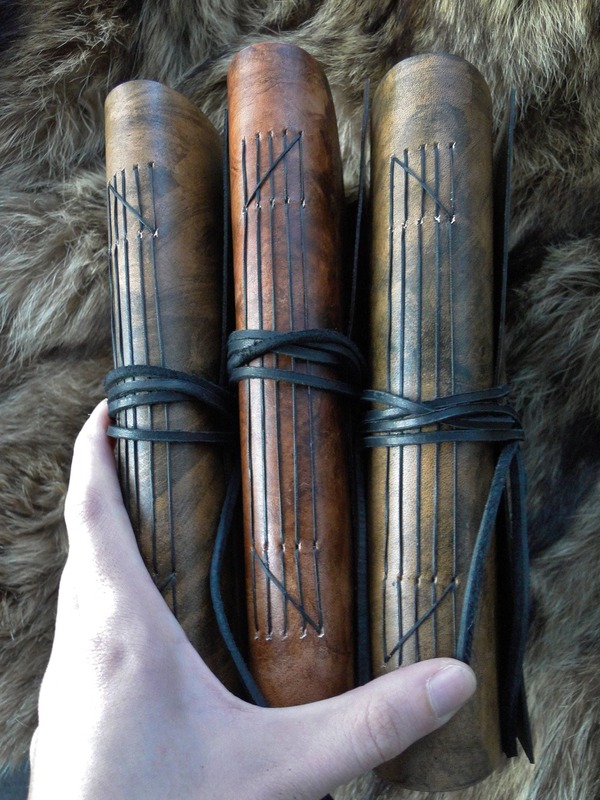 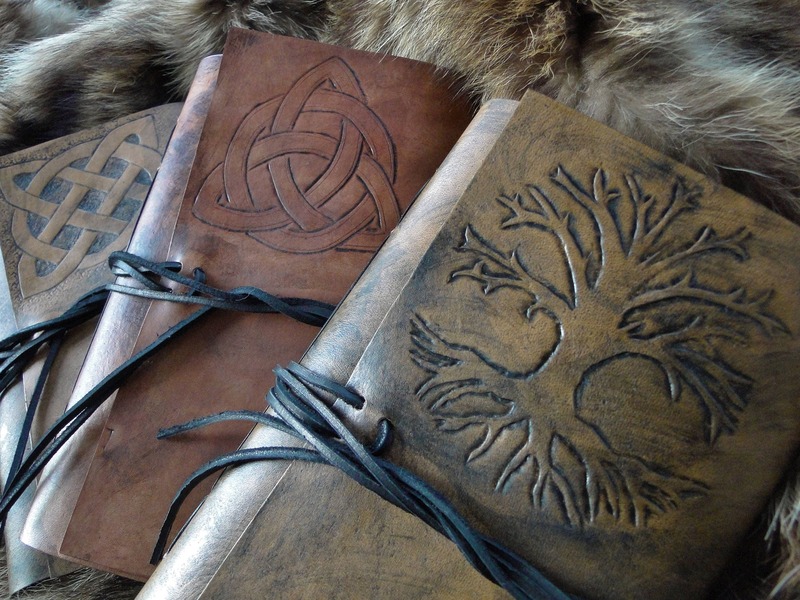 Medieval / Celtic leather journals. 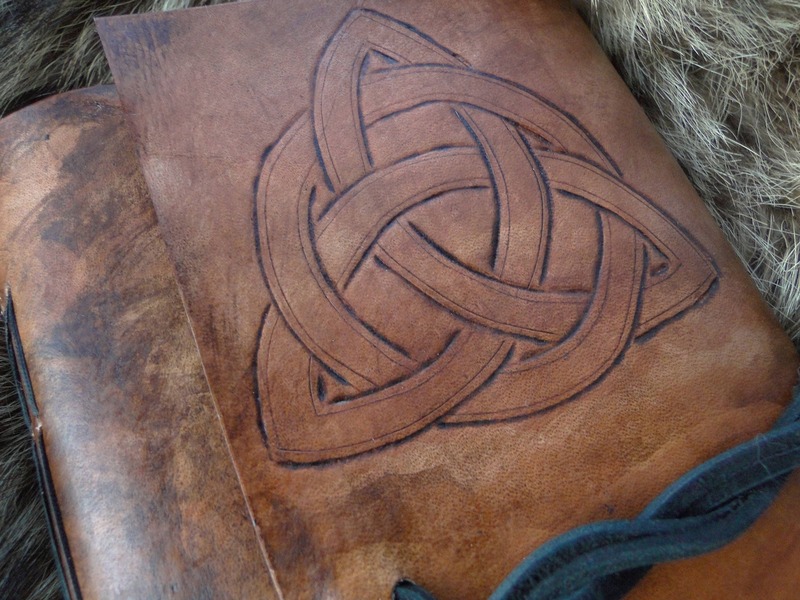 Featuring Celtic knots & the Tree of Life hand tooled into the covers. 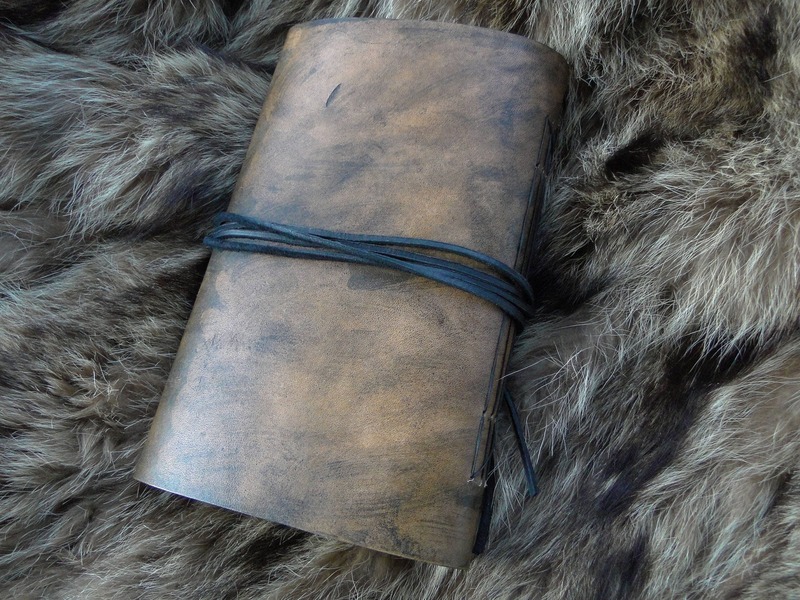 Made with sturdy leather, hand dyed and sealed. 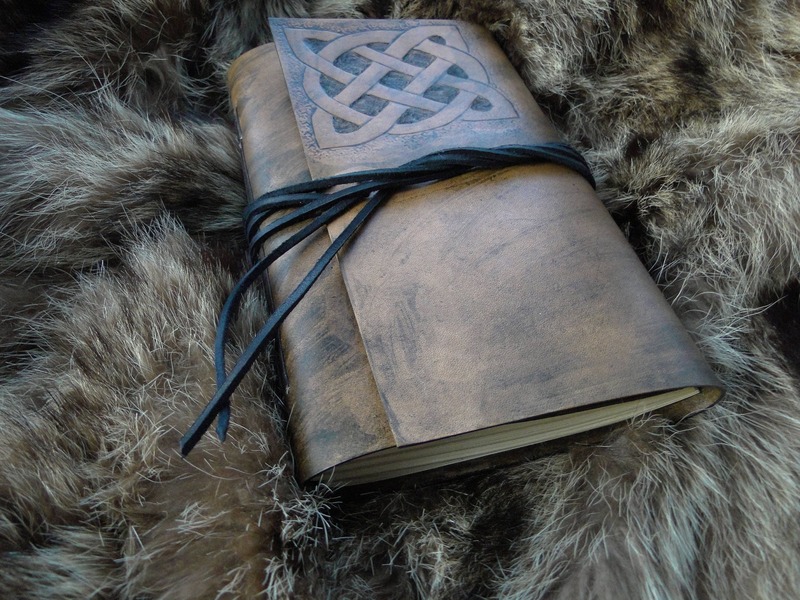 Hand bound with quality blank writing/drawing paper, a 'parchment' off-white color - giving a wonderful old world look and feel. 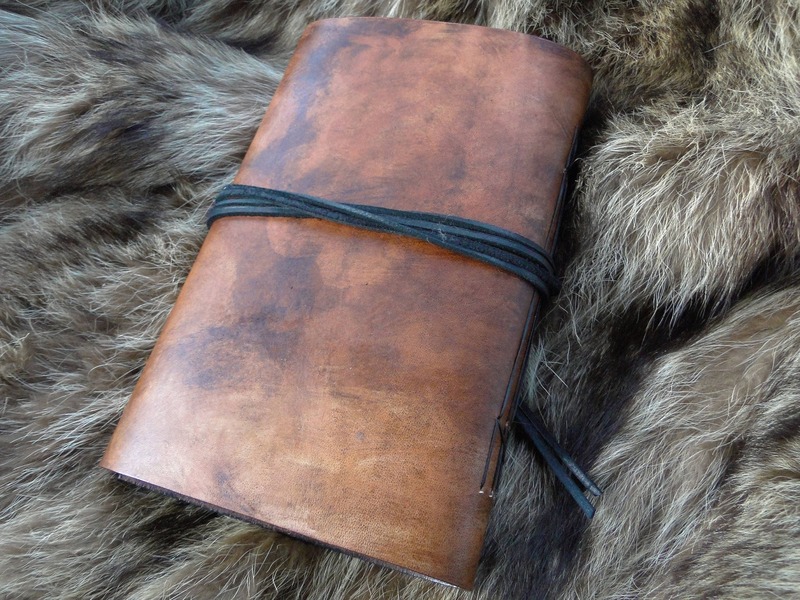 Keeps securely closed with a wrap around leather tie. 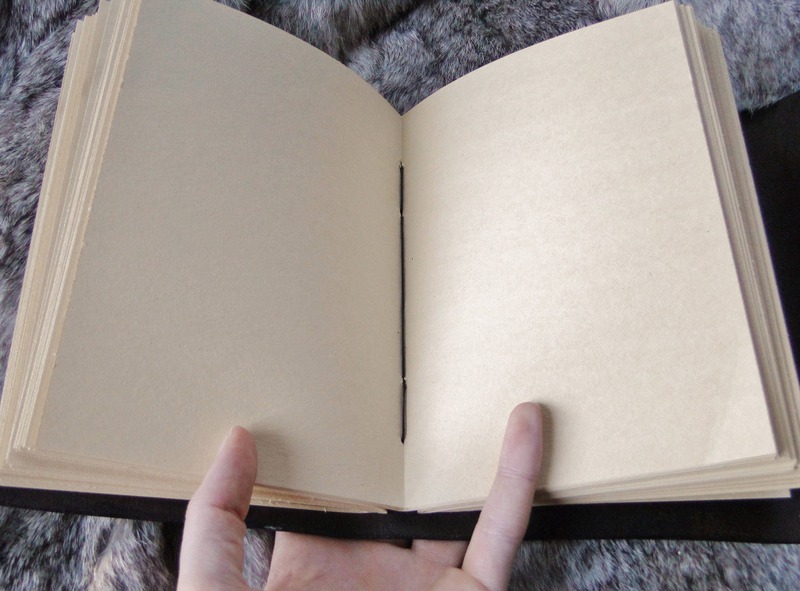 Outside dimensions (when closed) 9" tall x 6" wide, 200 blank pages (counting both sides). 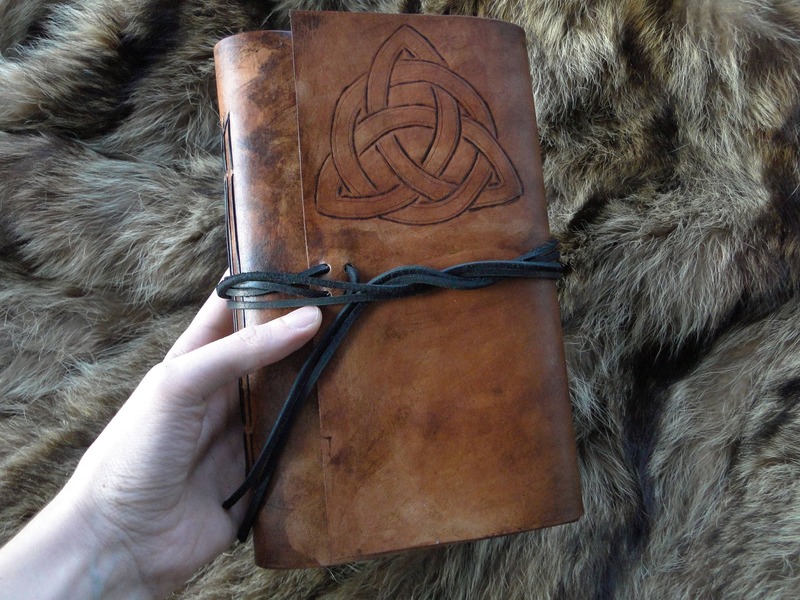 Leather journals, necklaces, hair accessories & other gift items available in our shop!